Gingko is a tool to help you think clearly. It lets you work on complex ideas, by breaking them into cards, and arranging the cards into a tree (from general to specific). Write in cards, add “child” cards by pressing Ctrl+→. Keep big picture ideas to the left, and details to the right. It may take some getting used to, but there is no wrong way to use Gingko. For more details, look to the right of this card →. Your work is for your eyes only, by default. Unless you make a tree public, no one else will see it. You own all content and copyright, and you can always export your trees to a flat text file. We give you 3 trees for free, though you can purchase more. Right now, you can upgrade to an unlimited account for $9/month. It will likely never be this low again, so take advantage! Think of a leaf. Think of its color, its shape. Imagine the pattern of veins on it. Turn it over in your mind. Now imagine a tree. See it as a whole, standing in a field, the branches swaying slightly in the breeze. Can you now imagine a tree, and all the individual leaves, at the same time? Whether we are looking at a tree, or imagining one, we simply cannot hold all the leaves in our mind as individual units. And the same goes for thoughts and ideas. All other writing and reading tools expect us to build a tree in our minds, leaf-by-leaf, in full detail. 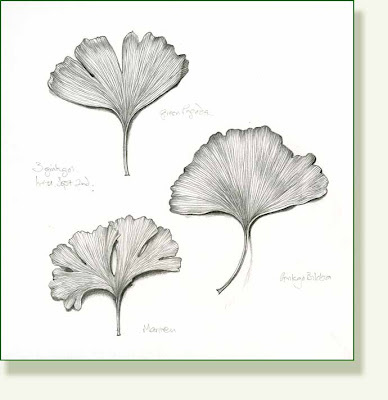 Gingko lets you move back and forth, from leaf to branch to tree. It seemed appropriate to name our tree app, after a tree. It is associated with enhancing memory & cognition. Adriano and his wife Jessica were walking by the botanical gardens of Montreal, while on a “branding walk & talk”. The name gingko was added to a list then. Its simple, and we like the sound. We mispelled “Gingko” on purpose, for two reasons. First, it seems a more natural spelling to me (both phonetically, and visually). And second, it would help with SEO and with securing domain names, accounts, etc. For more details on a few of these uses, look right →. To see all the tree documents in your account, click on “my gingko trees” on the top left. Click the [+] button to add more trees. We offer 3 trees for free, and infinite trees for $15. Arrow keys to move around. Drag a card to a new position, and you are also rearranging all of that cards “children”. Type /, or click on “Search the tree” at top right. The search function hides everything that doesn’t match what you type in. To show everything again, just clear the search box. Press Ctrl+h to create title line. Select text, use Ctrl+b for bold, Ctrl+i for italic. You can easily save your document as plain text at any time, by clicking the “Save as txt” option from the menu (top right). We are working to add more export options in the future. We use “Paranoid documents”, so that even if you delete your whole tree, we can recover it from the database. We use Linode servers, with regular backups, and RAID hardrive mirroring. Everything you do is assumed private by default. No one but you has the right of access. We measure certain things, such as how many cards or trees you’ve created. We use this data only to improve the experience for you. We’re small, we’re self-funded, and we believe in providing value. Our goal is to make you happy, not to make advertisers money. If more internet companies charged money for providing value, they wouldn’t have to resort to selling your data (or pictures) to advertisers, or other indirect ways to earn money. We’ve been asked many times “why only $9?”. We know that, even now, Gingko is worth more than that. We use it internally everyday, and it has helped simplify our work and our lives. However, we know that Gingko is missing a great number of features, so we settled on this introductory price for now. Start with your “Executive Summary” on the far left. Then add sections such as Marketing, Product Development, etc, to the middle column. Add more details to each of those sections by adding more details to the right column. Blog posts are challenging to write, because we need to keep them brief and to the point. Start by writing a paragraph summary on the first card. Create another card below that (still first column) called “Notes” or “Unsorted”, as a bucket for everything that you want to write. Go back to your summary card, and press Ctrl+→ to create a sub-section. Gingko is great for screenwriting and playwriting, because it follows the natural progression of “Logline > Act summaries > Scene summaries”.